As a leader in experiential learning, Project Adventure offers comprehensive SEL programming allowing children and adults to experience and apply critical social and emotional skills. Our programs promote the teaching and integration of social and emotional competencies through engaged, experiential learning activities. We develop SEL through learning by doing. Challenge by Choice creates a safe and supportive environment where participants are asked to search for opportunities to stretch and grow during the experience. It recognizes the need for individuals and the group to accept responsibility for decisions. It creates opportunities for individual and group learning. Adventure activities create opportunities for individuals and groups to reach outside their comfort zones and experience critical social and emotional skills like identifying and managing feelings, effective communication, collaboration, goal setting, resilience and decision making.Individuals and groups engage in deeper learning that can be later applied to other life. Experiential Learning Cycle is the learning process of experiencing, reflecting, generalizing and applying. This process promotes engaged and meaningful learning and supports the practice and application of critical social and emotional competencies. 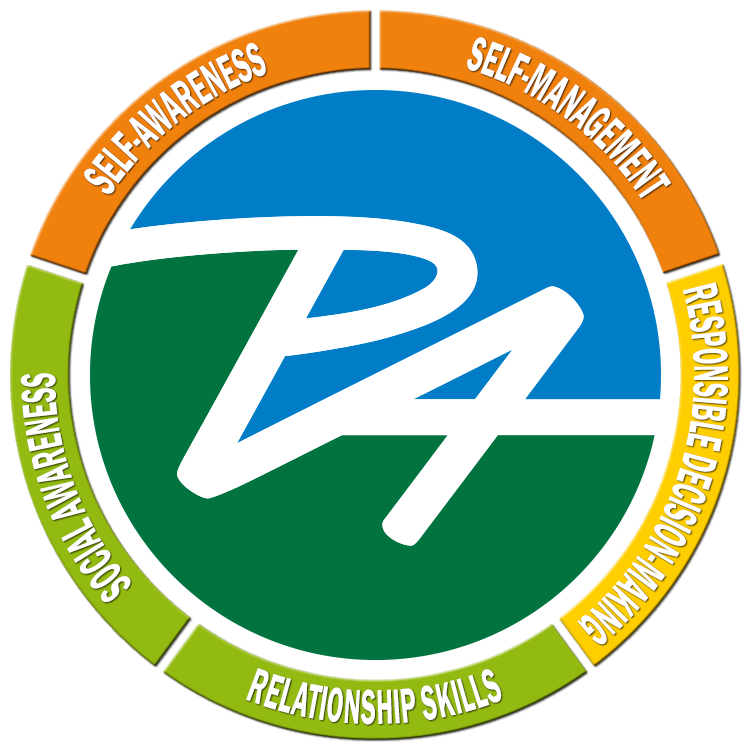 To find out more about how PA can support SEL at your school, call us at 978.524.4554 or email info@pa.org. The Full Value Contract is an established and agreed upon set of behaviors and guidelines to support the group in achieving individual and group goals. Setting the group norms that can be adapted to meet the needs of the group where each individual is valued. This promotes an environment of investment and an opportunity to reach outside individual comfort zones creating the capacity for growth.